I love these images from Lena Corwin’s home. 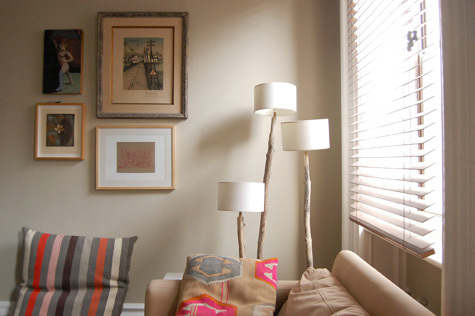 That paint color is softly calming and those wood floor lamps are ahhh-mazing! 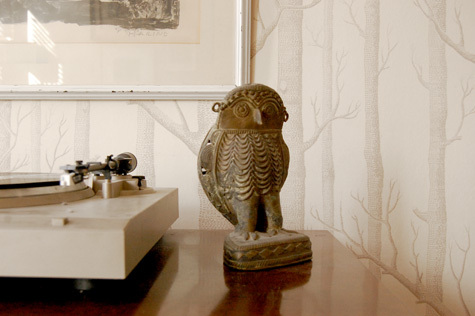 I love the Cole & Son’s tree wallcovering in this muted color! There are many more pix via Design Sponge.